Property for sale in France - Haute Marne. Beautiful renovated stone house in the Haute Marne. Beautiful property on the border, Haute Marne and the Vosges. Haute-Marne is located in the southeast of the Champagne region, bordering Lorraine, Franche-Comte and Burgundy. The capital is Chaumont, also known as the 'poster town' due to the international festival held hear every year on the subject. The town is also host to an annual festival for graphic arts, which draws artists, students and industry experts to the town. Chaumont occupies a unique position perched on a steep plateau with fantastic views over the Marne Valley. There is very little remaining of Chaumont's 12th Century castle that was once home to the Counts of Champagne but from the main square, Philippe Lebon, you can still make out the castle's keep and ramparts. A number of Chaumont's other ancient buildings, including the town hall, Jesuit chapel and the Basilique St Jean, have survived in their entirety until the present day. Spectacular views of the town can be enjoyed from the top of Tour d'Arse, a name that doesn't fail to raise a smile among English speaking visitors! The ancient fortified town of Langres is situated on a hilltop in the south of the department. Along the ramparts that encircle it are six towers and seven gates. Unlike many of the towns in the area, Langres managed to escape the bombing of the Second World War, which is why its old buildings are so well preserved. The town's most famous son is Diderot, the 18th Century philosopher. It seems that if he were to return today he wouldn't have much trouble finding his way around. The narrow streets overlooked by archaic facades set the tone for this town that time forgot. Langres is most widely known for its cheese, by the same name. You shouldn't have any trouble finding this intriguing orange-crusted speciality. Just to the southwest of the town you'll discover the Plateau de Langres, a vast area of forests and streams set upon rolling hills and valleys. Bourbonne-les-Bains is the premier spa town in eastern France. Visitors with rheumatism, arthritis, fractures, osteoporosis and respiratory problems are amongst those who benefit from exposure to the three hot springs located here. This popular Roman spa town is situated on a hill topped with a castle, which is now the town hall. You will also find the Bannie Animal Park located here. Creatures that once thrived here in the wild, such as stags, wild boar and deer, have the freedom to roam about this protected site. The nearest airports with direct flights to/from the UK are currently the Paris airports. Your nearest ferry ports would be Dunkirk, Calais, Dieppe and Le Havre. The Channel Tunnel is also an option. If you're not taking your car you can catch the train from London to Paris. 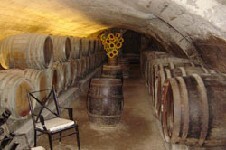 Prices in the Champagne region are high and rising due to demand continually exceeding supply. However, if you do buy a property here, it should bring in a substantial rental income. Do you know Haute-Marne better than we do? Do you have photos of Haute-Marne? 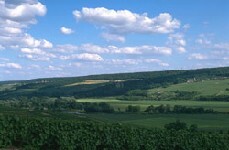 Haute-Marne is located in the south east of the Champagne-Ardenne region.